West Golds Road, Newton Abbot, TQ12 2TS. 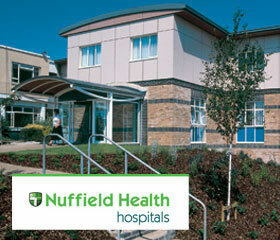 Huw David consults primarily at the highly regarded Nuffield Health Plymouth Hospital, Devon. He also undertakes private practice through the Meavy Wing of Derriford Hospital and Mount Stuart Hospital, Torquay. Huw's NHS clinics are held in Kingsbridge, Newton Abbot and Launceston in addition to the Derriford Hospital. Huw normally consults on a Wednesday, Thursday and a Friday. If you need to get in touch with him or his PA please visit - Huw David's contact page.